Bowling: Shane Watson 2/39 in 4 overs, Harbhajan Singh 1/11 in 2 overs. Bowling: Sunil Narine 1/17 in 4 overs, Kuldeep Yadav 1/27 in 3 overs. 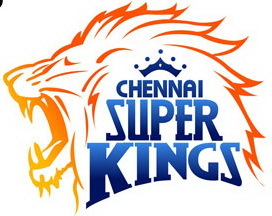 Result: Chennai Super Kings won by 5 wickets. 1. It was the battle of giants. CSK and KKR already had one win on their name and both looked to extend this lead further by winning this match. It was CSK’s home ground so the expectations were high from the men in yellow. 2. Chennai Super Kings won the toss and chose to field first on a pitch that seemed suitable to bat on while being spin friendly. KKR openers Sunil Narine and Chris Lynn started off in a similar fashion. 3. However, Narine was bagged early by Harbhajan Singh followed by Chris Lynn who also became a target to India’s spin bowler Jadeja. 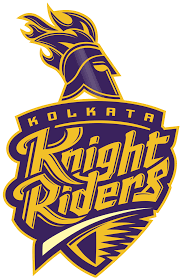 After that KKR lost several wickets in regular intervals and after 10 overs they were 5/89. 4. Chennai were surely on top but this is when the No. 7 batsman Andre Russell started his demolition factory in Chennai. The all-rounder smashed 11 sixes and one four to propel KKR to the IPL 2018 first 200+ score. 5. CSK had no answer to this man’s power as he scored all over the ground and remained unbeaten throughout the match. Russell’s heroics handed a target of 203 runs for Chennai to win this match. 6. In reply Chennai also started off quite well as their openers Shane Watson and Ambati Rayudu laid a 75-run partnership. However, after these two batsmen got out KKR quietly but steadily tightened their grip onto the match. 7. KKR’s spin bowlers were bowling quite well, especially Sunil Narine who only gave 17 runs off his 4 overs. The run rate was going up but Chennai had wickets in hand and only needed to get at least two boundaries per over. 8. After Dhoni got out it all came down to the English batsman Sam Billings who blasted 56 off 23 balls before Tom Curran took his wicket. Chennai now needed 17 off last six balls. 9. And, the unexpected happened as Bravo and Jadeja’s second last ball six sealed the game for Chennai as they handed IPL 2018 its second thriller.